Tiiu!! This is so beautiful!! Love the papers and your take on the sketch! So happy to be in your company at ScrapMuch? Thanks for inspiration 🙂 And also thanks for your nice words in my blog, means so much! Have a nice day! Amazing layout Tiiu!!! You used this paper line perfectly! 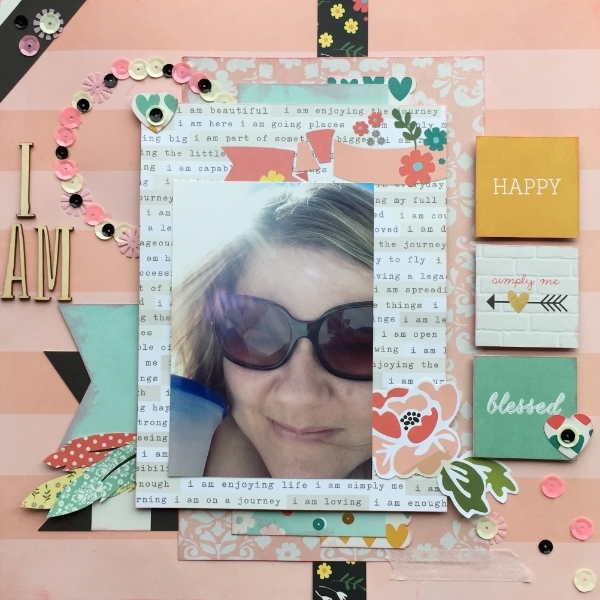 Love your sequence circle and all the layering and embellishing….and of course your story….everything is just beautiful!!! Such a perfect page of yourself, great photo and products! What a gorgeous page to celebrate a simply perfect moment, Tiiu! Great use of that collection!